From an afternoon on the lake to the thrill of the open road, your customers’ passions come to life through what they drive, ride or cruise in. They rely on you to help protect what they truly love. That’s why we stand behind you, with the guidance, support and education you need to be the expert they can count on for specialty insurance. 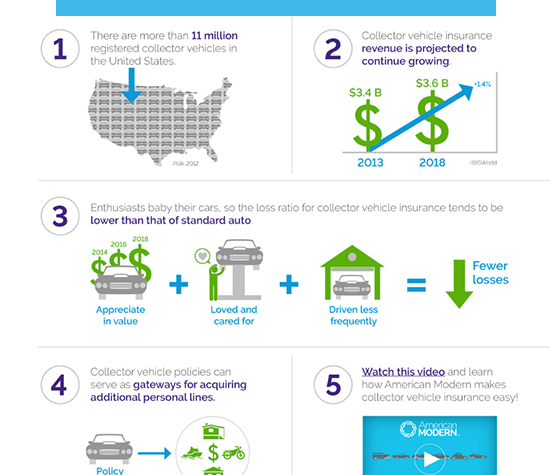 How much opportunity is there in Collector Vehicle insurance for your agency? Download this infographic and find out! 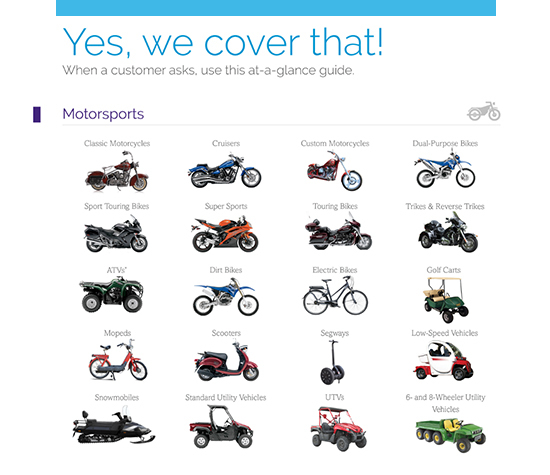 See all of the motorcycles and off-road vehicles we cover.